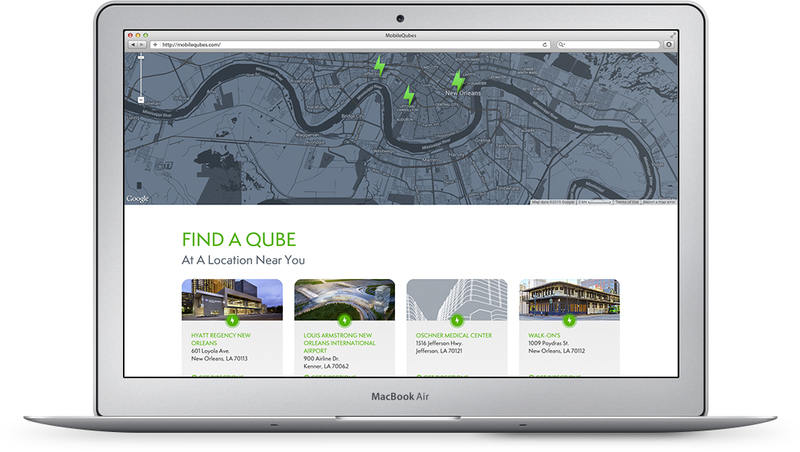 The founders of the New Orleans, LA-based startup MobileQubes needed a way to charge their phones on-the-go without being tethered to an outlet, and knew they weren’t the only ones who had this problem. They came up with an idea: what if kiosks dispensed compact mobile chargers that could be easily rented and returned when people needed them? That’s when they came to Envoc to make their business idea come to life. 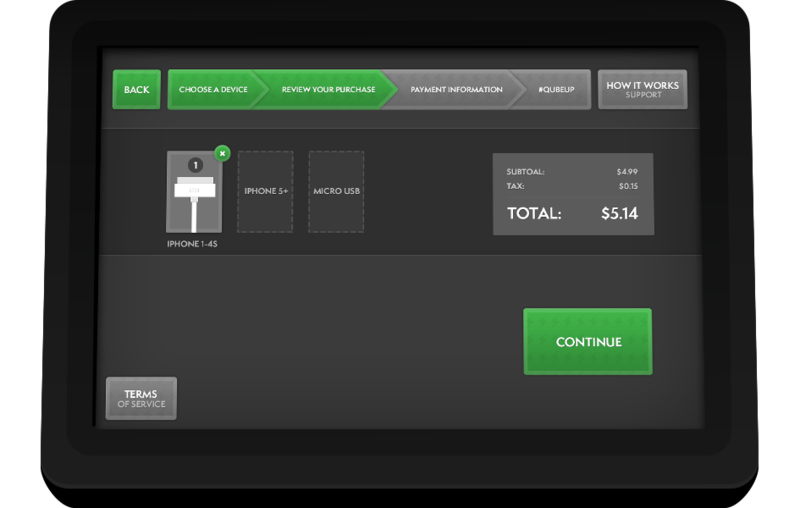 They needed interactive kiosk software that would allow customers and find the mobile charging device, or “Qube,” that they needed. 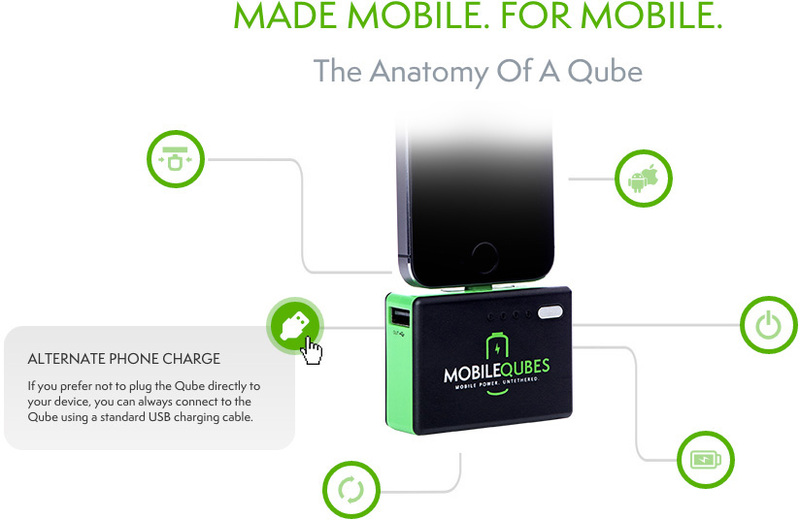 MobileQubes also needed to be able to manage the kiosks and their inventory while tracking information about transactions and when Qubes are returned, as well as a marketing website to get the word out. We approach business start-ups differently from businesses that already exist. 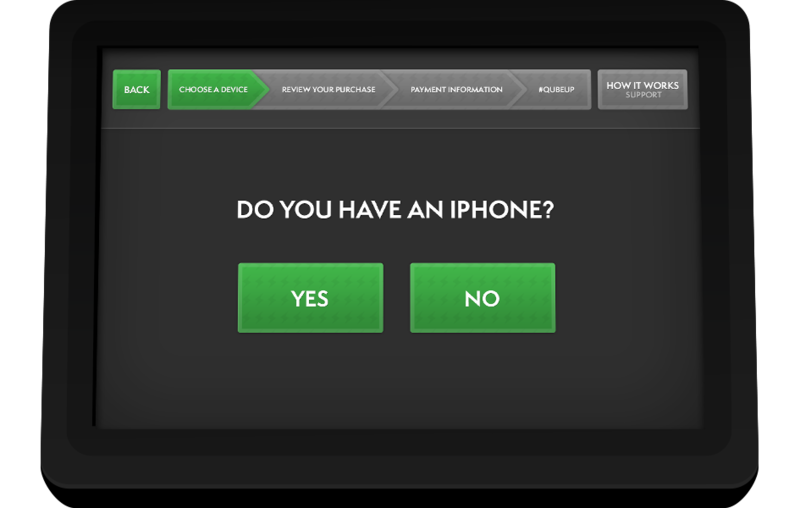 Starting with a 3-hour kickoff event, we dove into MobileQubes’ basic business goals and their design goals. We performed the design “gut checks” to discover what design elements were appealing to them and which weren’t. 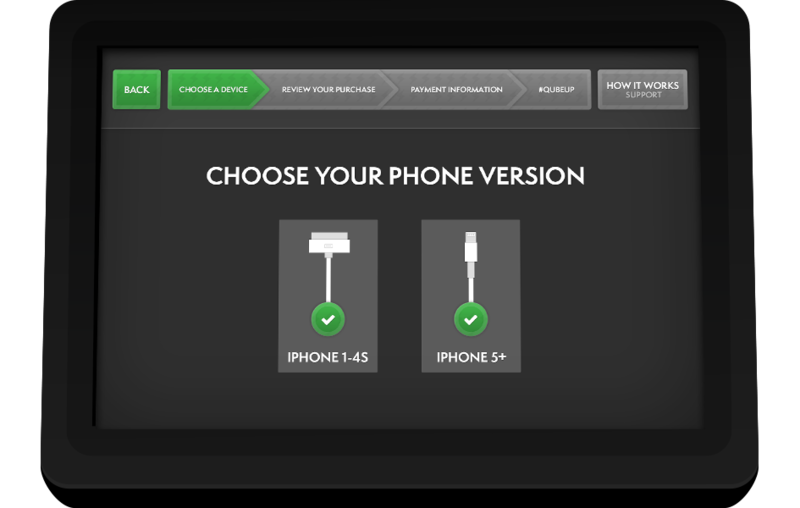 We needed to know how they wanted to be perceived visually across all target audiences and how the kiosks needed to function from home screen to checkout. We knew users not only needed to be educated about the company, but they also needed to feel comfortable and at ease when using a kiosk to rent or buy a Qube. 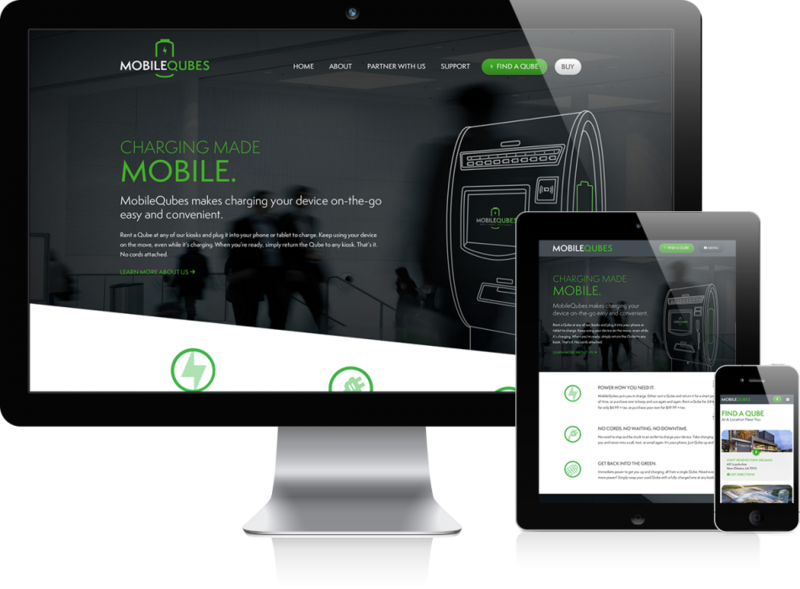 The kiosk and the website needed to utilize the same branding elements and both needed to be built in a way that would adapt to changes in the business that was continually growing and changing as MobileQubes was shaped into what it is today. 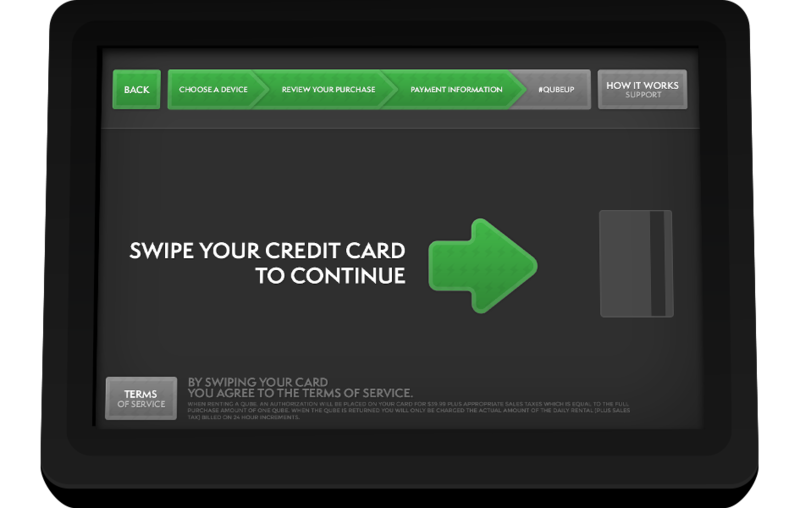 The solution is the combination of a design-heavy website and custom kiosk software. 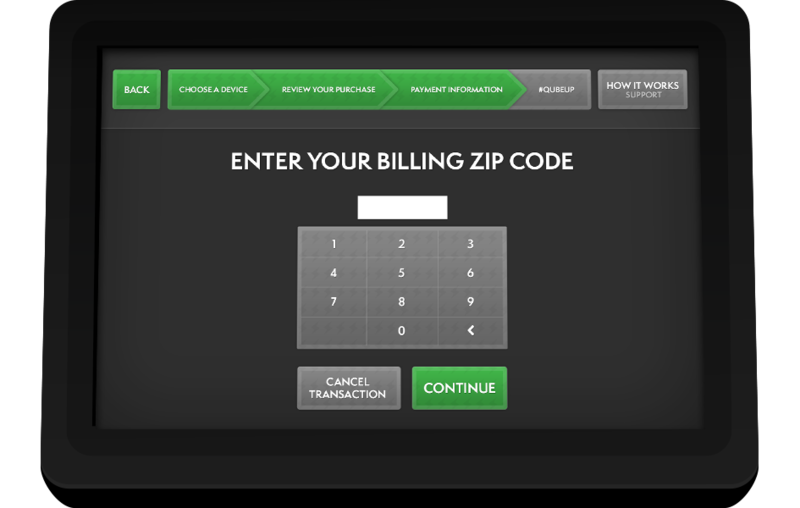 The freshly branded website gives company and partnership information and provides support and kiosk locations. The website communicates the makeup of a Qube, how they work, and the benefits they provide to the customers. 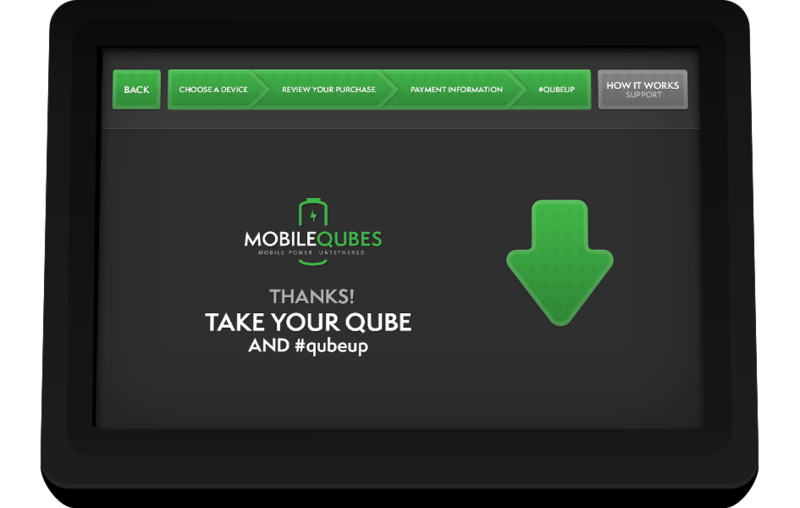 It also features a backend portal that lists out all kiosks both active and inactive, which MobileQubes can manage from their end. In order to keep customers secure, credit card tokenization was added to allow transactions without storing customer information. 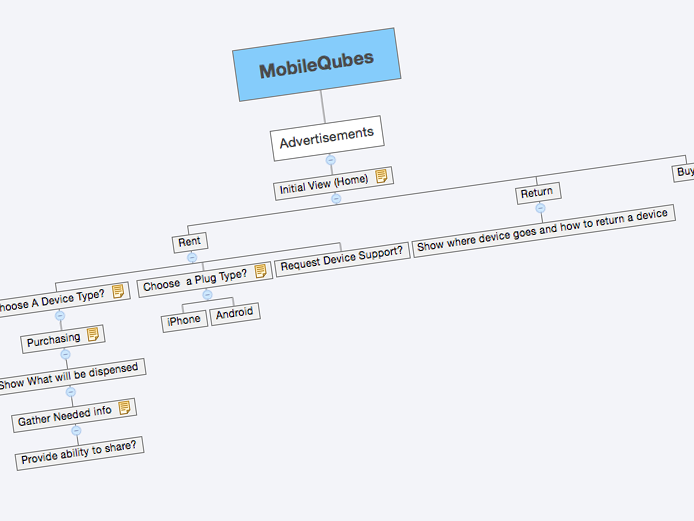 The MobileQubes team can see a list of transactions made by the user when they rent, return, and buy a Qube in both the client portal as well as their third party payment processing system. Envoc took the technical aspects of our business model from concept to reality through a diligent, creative, and professional approach. 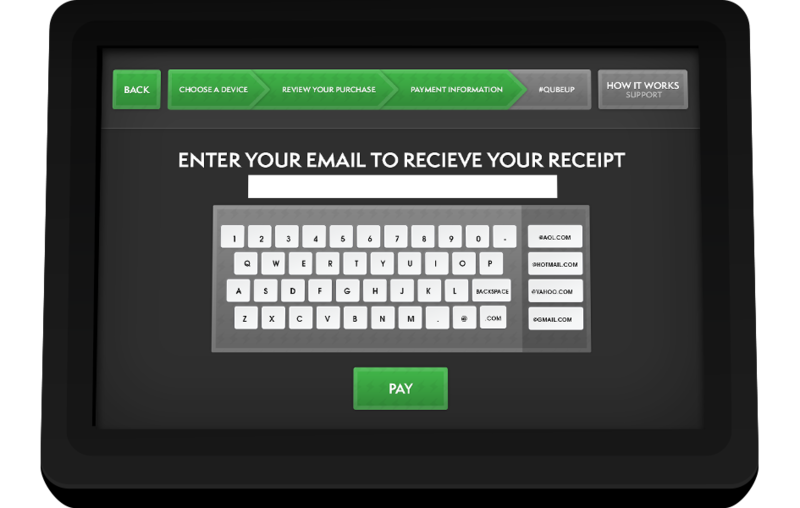 From kick-off to final delivery of our kiosk software and marketing website, the entire Envoc team took a consultative approach that resulted in a top notch software solution, which remains the backbone of our kiosk network. 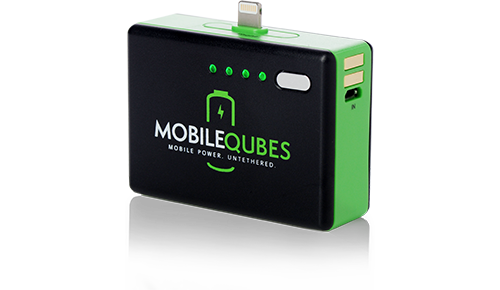 We look forward to continuing to work with the Envoc team as MobileQubes grows and innovates over the coming months and years, providing our customers with the best experience and product for charging their devices on-the-go.